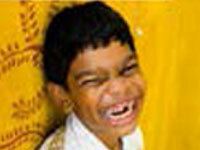 Mahesh, 7, was abandoned on the street at the age of 2. He has severe speech impairment. Rescued by Childline, Icha adopted him from Woman and Child Welfare Centre, Vizag at the age of 5. A speech therapist is working on his disability while he learns simple math from our special ed teacher. Mahesh is a quick, enthusiastic learner. He enjoys good food too. 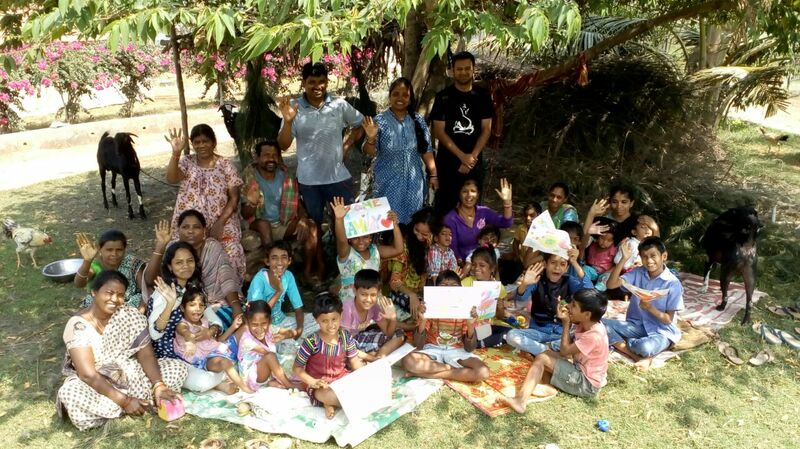 Former fashion designer and volunteer at BCT, Madhu has bought land and built the Foundation with her own resources. She does not take a salary for the work she does there. A businessman and trustee of Mrs AVN College Vizag, he has promised the adjacent land for organic farming in order to help the farmers in Kondakarla. A beautician by profession Parvati manages a high-end beauty parlor while assisting us with fund raising and building local awareness of our mission. Icha Foundation is a dream that I, Madhu Tugnait, have nurtured for 20 years. I was leading an absolutely commercial life as a fashion designer, and running a successful boutique in Vizag. The face of Icha kept on changing and growing in my mind during those years, from an old-aged home to a destitute women’s home to finally a home for abandoned children with physical and mental disabilities. The dream of being able to do something for society kept growing stronger within me as the years passed and I finally took the first steps to realising that vision when I established Icha in 2010.